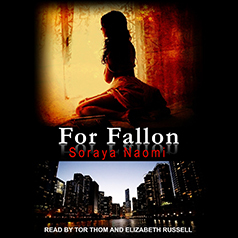 Soraya Naomi presents Book 1 in the Chicago Syndicate series. Contains mature themes. Fallon has never had to wear a mask. She grew up with two loving parents in Chicago, graduated from college and is now working a job she loves. But her untarnished world is shaken when Luca crosses her path. Luca's mask is tightly controlled. Distrust, rivalry, and violence rule his life. Fallon loves him madly, even though he wears his mask perfectly. Even though her life is unraveling and she doesn't know why. Can Fallon and Luca work through their insecurities when everyone seems to have an ulterior motive? Who can you trust when everyone has a façade?